The Knights of Columbus' initiative on Fatherhood has moved into its second month with a new featured topic on the Fathers for Good Web site, www.fathersforgood.org. To start off, I want to congratulate Brothers Mitch de la salle, Ken Schwartz and James Wilson and all the volunteers for putting on another great event. I just wanted to let everybody know that you can now rent the movie "Bella", my wife and I watched it last night, it is well worth watching, and sends a strong Prolife message, we recommend all to watch it. On the occasion of the most recent visit of our Holy Father, Benedict XVI, he extended a hand of invitation and said “Come Follow Me and Help Us Build up the Church”. This year we celebrate our Savior’s resurrection on Easter Sunday the April 12th. Let us all remember that; “Jesus was put to death for our trespasses and raised for our justification” Romans 4:25. 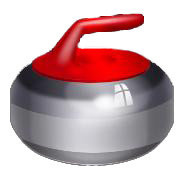 On March 13, 14 and 15, 2009 our Council will be hosting the 49th Annual State Curling Bonspiel at the Saville Sports Center. I trust that you and your family have had a great summer. Although the weather outside doesn’t show it, December is here and so is the hustle and bustle of the holiday season. As we attempt to get ready for this busy time, let us not forget that it is an important time in the Church. Help prepare and serve meals to the less fortunate. Edmonton Prolife requests our support. Please consider signing this petition and share this e mail with others. Brother Armand Comeau past away on Sunday after a lengthy battle with a head injury.